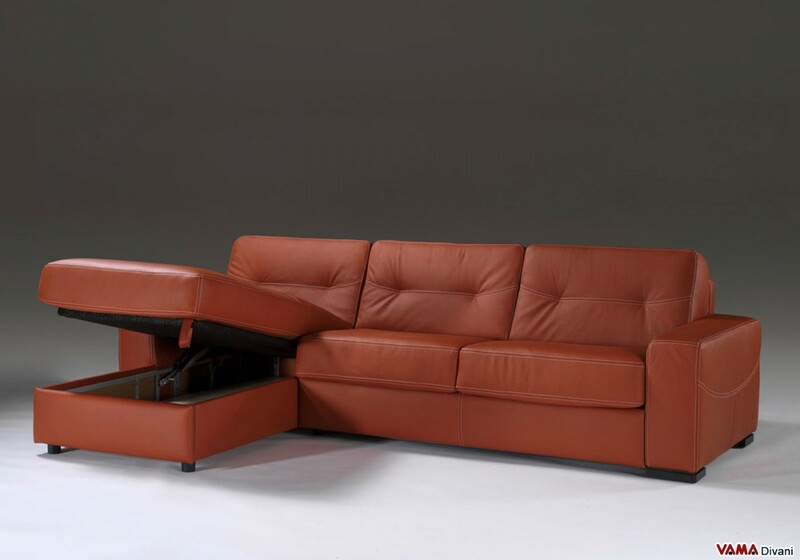 The corner leather sofa bed Lido A, as well as presenting this special and very unusual structure for a sofa bed, is considered an excellent corner sofa both for its striking design and for the materials used to make it. 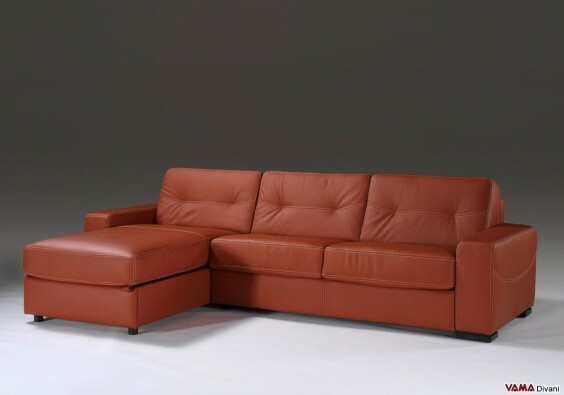 Completely upholstered in leather, Lido A is embellished by small but exposed seams in its upholstery, and it can be transformed from a simple sofa to a bed, and vice versa, in a very easy way: its structure, indeed, consists of an electro-soldered mesh that opens with a simple gesture, keeping all the cushions perfectly integrated to its structure. 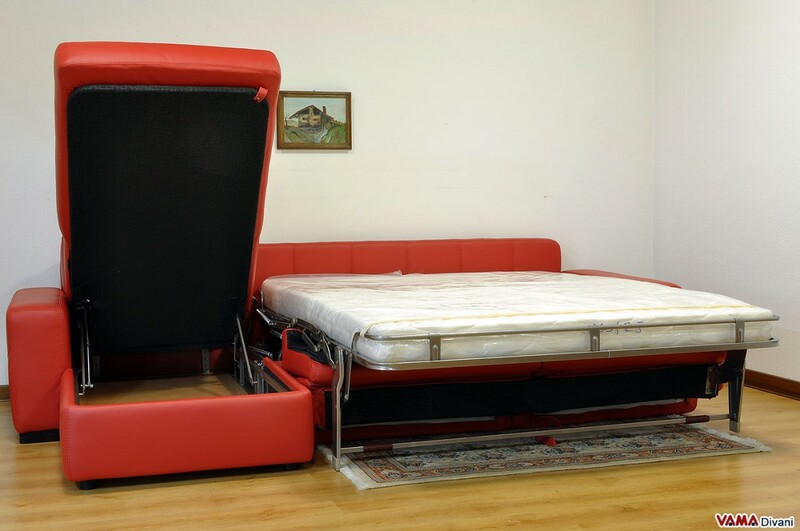 The inside mattress is padded with polyurethane foam and is 14 cm thick. 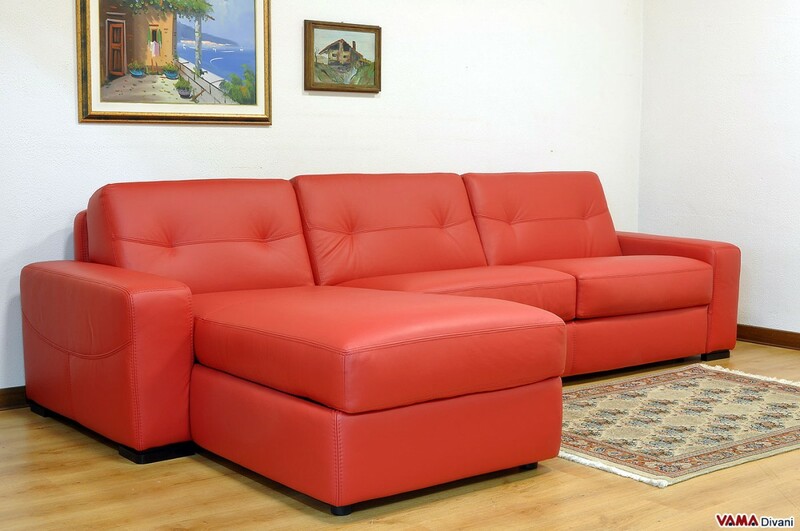 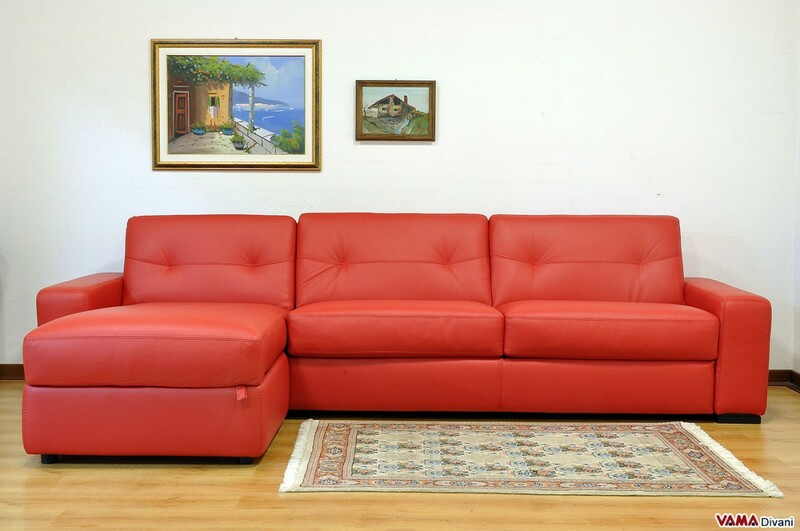 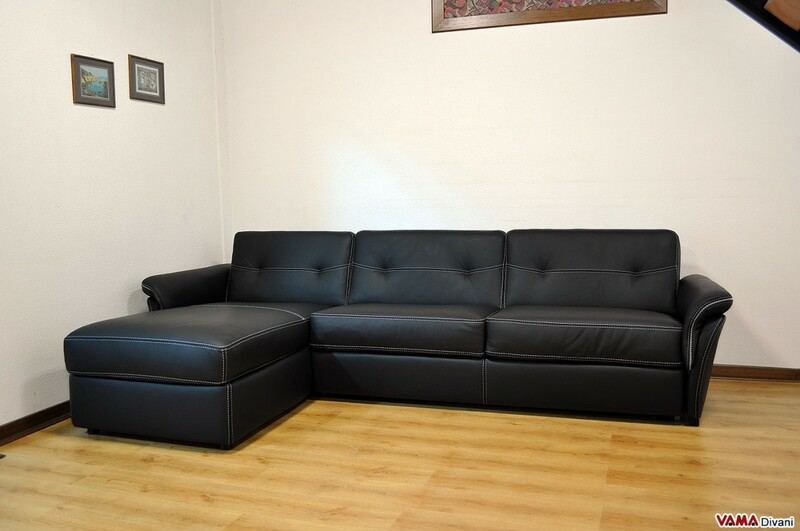 This Corner sofa bed in leather is a very comfortable sofa: its seat back, its soft padding and its particularly large arms help to enhance its comfort, without forgetting the spacious chaise longue that can be enriched, upon request, with a convenient interior storage box. 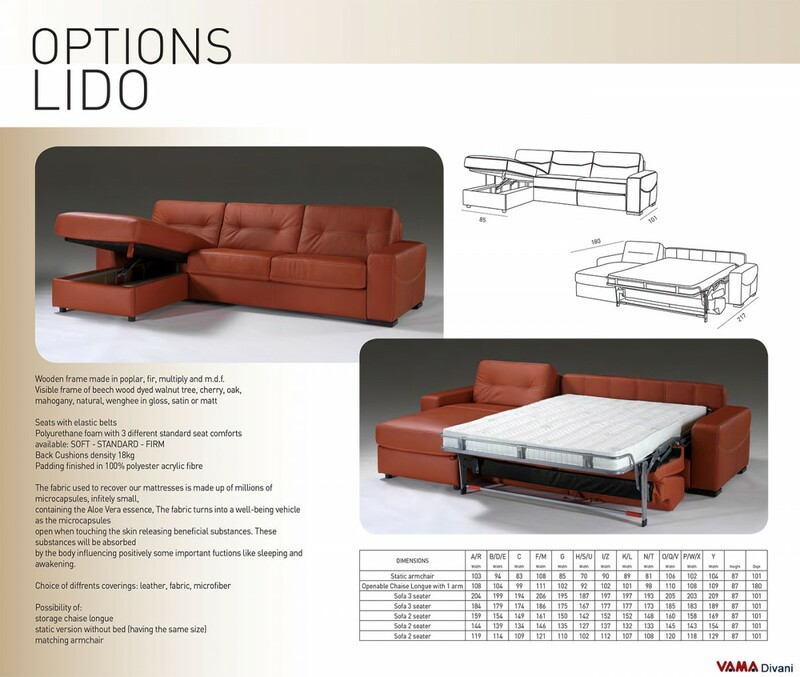 In conclusion, Lido A is really a corner sofa bed rich in features, created to decorate the corners, but also perfect for recreating any different design solution. 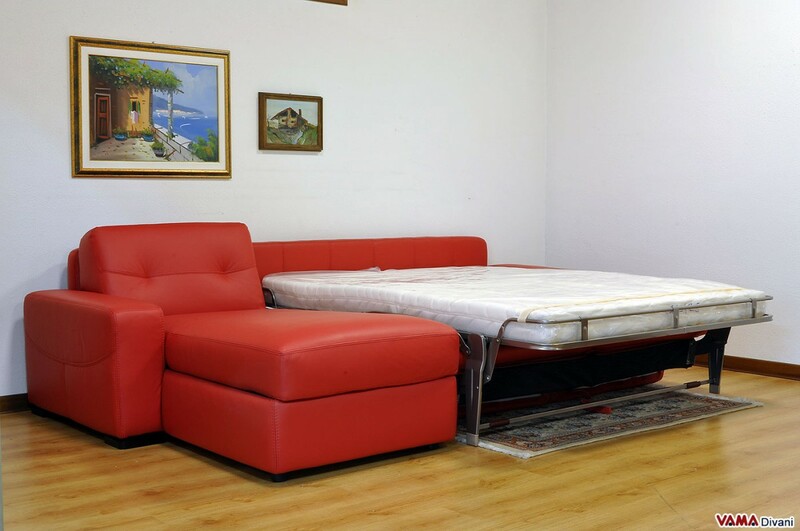 Different sizes for double bed, French bed, queen and single beds. 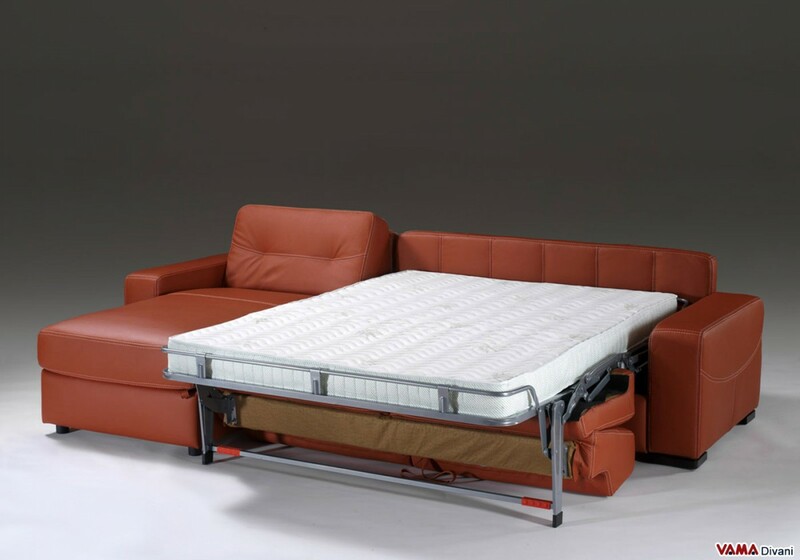 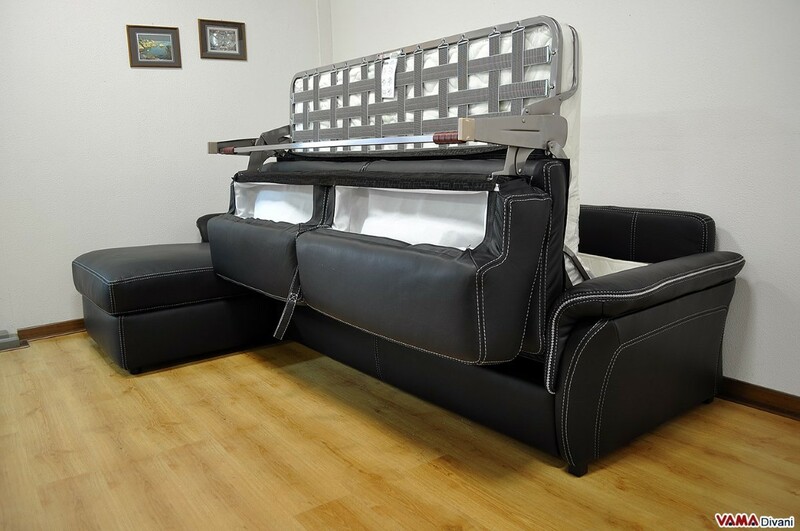 We suggest you watch the video demonstrating the ease of assembly of this sofa bed. 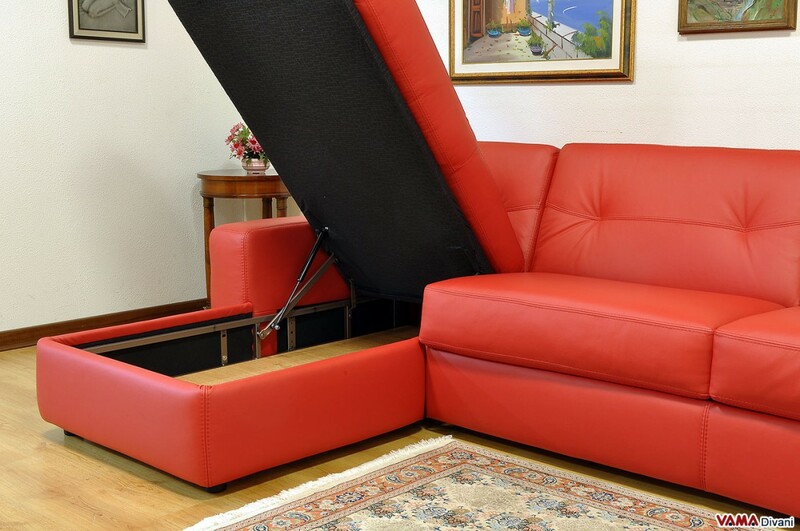 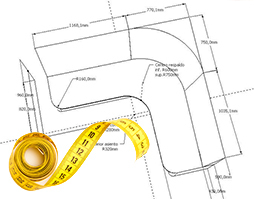 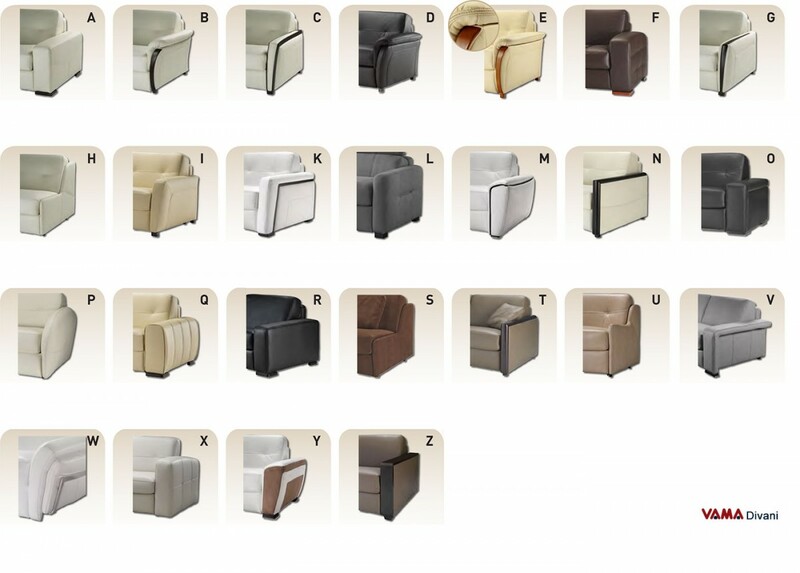 In the video, we explain the assembly of a simple sofa bed, but in the case of the corner sofa bed, there are no more steps to be followed, there is only to join the part of the sofa bed with the chaise longue and the storage box.